It’s a life-long passion which began at the age of 12, when Linda worked for a family friend selling American Indian jewelry. She grew to develop an eye for beauty and detail and fine design. 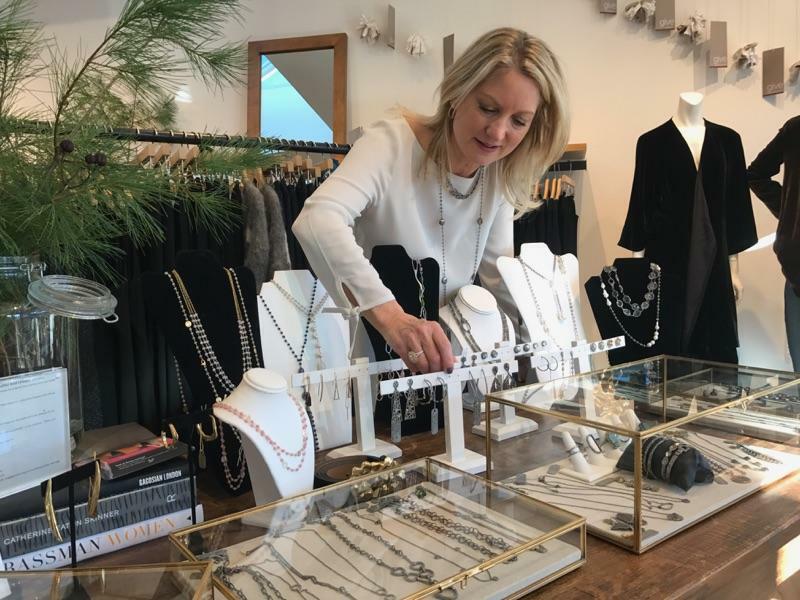 In addition to displaying select jewelry pieces in stores throughout New England, Linda does tailored trunk shows and collaborative events. Linda sources jewelry from artisans around the globe. Quality and design are foundational to her choices for an ever-growing jewelry collection. Clients are worldwide and include celebrities in the arts, Hollywood and TV. Let Linda source that special ring for your special someone. Linda has a collection of fabulous jewelry from which to choose. Furthermore, she will personally curate the perfect pieces for you. Clients have looked to Linda for diamond studs, tennis bracelets, engagement rings and wedding bands, earrings, necklaces, bracelets, fashion jewelry, and more. What jewelry would you like to add to your collection? Unique and precious jewelry from around the world. From avant-garde to luxurious, you’ll see a fascinating array of gemstones, diamonds, gold and silver curated by Linda Fuchs, The Concierge Jeweler.